“The stars twinkle against a night sky as all that lays before you is an open road with nothing in between you and it for a hundred miles…”, this is how the legendary French producer Mlada Fronta wanted you to experience the new album: as a full fledged adrenaline rush. Teaming up once more with M-tronic who released 2001's Fe2O3, Mlada Fronta without a doubt deliver his best album to date! What occurs in ‘Outrun’ is a beautiful mesh of synthwave and electro with a mix of EBM and techno elements. 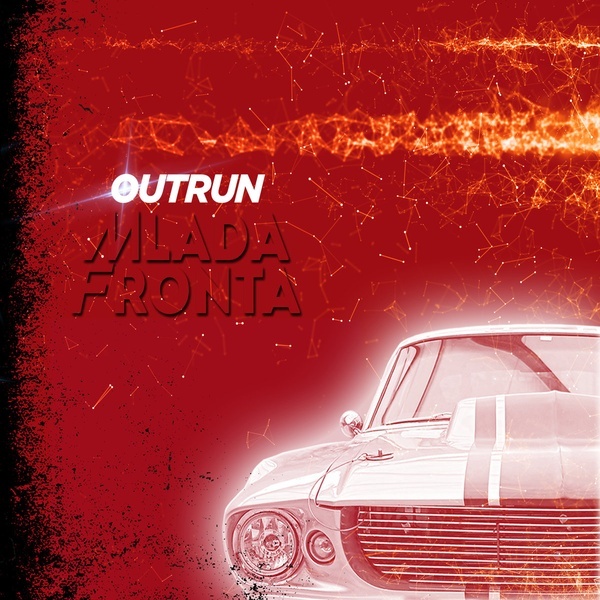 Mlada Fronta's ‘Outrun’ is simply a gorgeous and story-telling inspiring experience, a vein pumping injection of steel to steel at two hundred and fifty miles per hour: "No limits, no rules: live only for speed" ! Mlada Fronta has been at the forefront of the French electro movement since the nineties, and thanks to his constant, moving mind and creativity offers a musical journey that initiates spiritual and emotional travels that are dance motivating to say the least, "Outrun" injects an enormous proportions of energy !